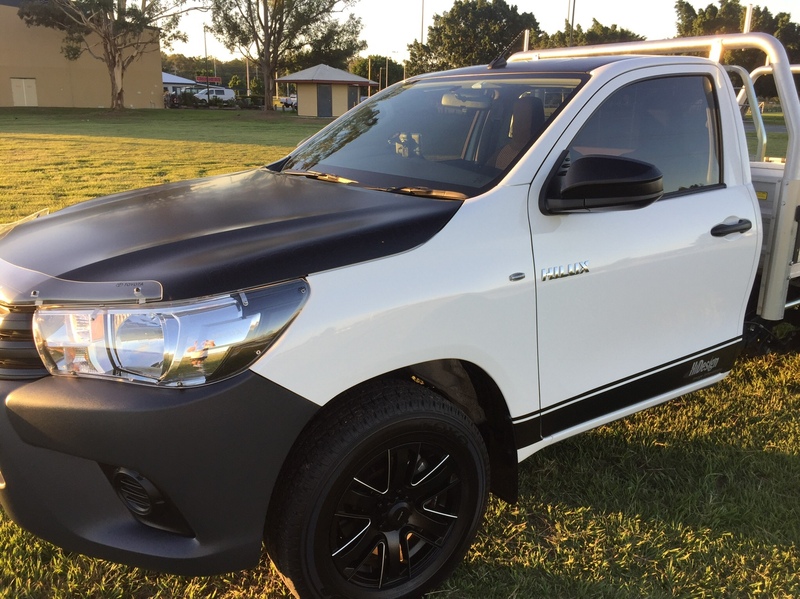 Hi all, I top wrapped my Hilux with satin black vinyl then coated the whole car with 2 coats of Opti gloss coat, pretty happy with the results. When doing maintenance washes the roof and bonnet both have collected some contamination, not sure if it’s tree sap or tar, but it’s only on the tops. What would be best to Decon this with? The black stuff is actually a lighter colour underneath, it does pick off easily with a finger nail but looking for a quicker solution as there is usually quite a bit. Would iron x or maybe poorboys bug and tar be ok for the coating? Sorry the photos don’t show the issue as I have just cleaned it all off before I thought to write this, using ipa and also a citrus based glue remover, just posted the pics for bragging. It’s hard to say what to use without knowing exactly what it is. Assuming it’s sap, IPA is usually good for this but you’ll need to be careful with the matte vinyl. Thanks Joel I’ll investigate it a bit further before I remove it all next time!